According to research by one of our users - Norgur8 - some cards treat Gothic 2 as a 2D application, and therefore run it in an extremely downclocked (energy efficient) state. This in turn causes poor performance. 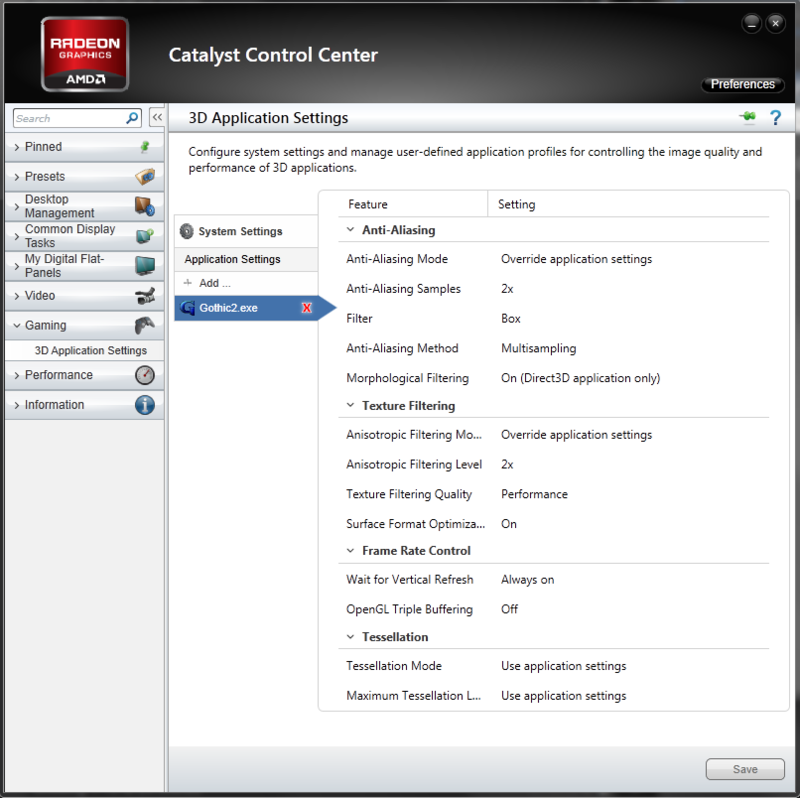 To get around this, create a Catalyst Control Center profile for the game and force some hardware-intensive graphical settings, to make your card "work harder". You should enable settings such as Anisotropic Filtering and Anti-Aliasing. You can set them as high as you want, and as a side-effect the game will look a lot better. Click here for an example of how you can set this up.